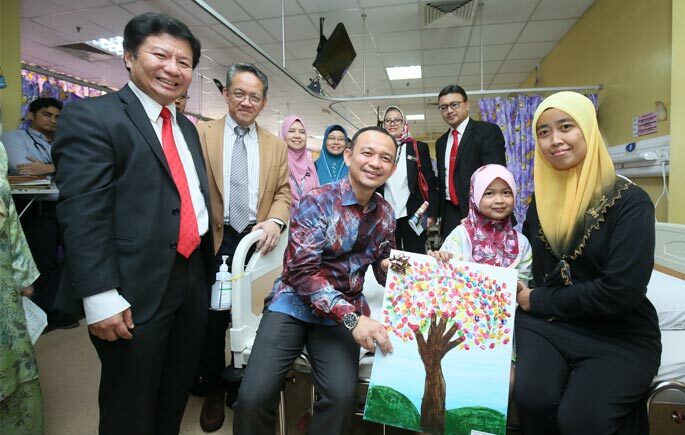 CHERAS, 22 November 2018 – Minister of Education, Dr. Maszlee Malik for the first time after being appointed as Malaysia’s Education Minister visited the Hospital Canselor Tuanku Muhriz (HCTM), Universiti Kebangsaan Malaysia (UKM), to hear briefings and to observe the hospital’s operation with more detail. During the visit, he was briefed on the operation of the School in Hospital (SDH) at the Paediatric Ward, that was established on 18 September 2012. SDH is a set up to ensure that education is accessible to all children without restriction and condition. Formal and structured continuing education is provided in SDH in a conducive environment for students who being hospitalized to encourage the poor-health students to continue learning so their studies won’t get left behind. Learning process in SDH is a flexible educational orientation where the teachers are the facilitators in helping the students with the lessons. 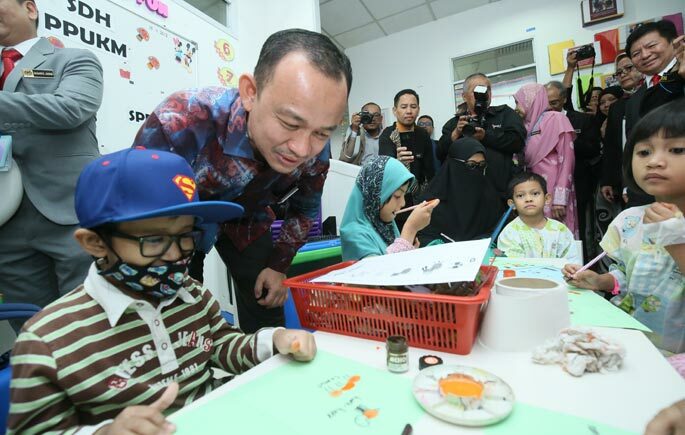 Besides that, Dr. Maszlee also visited the Children’s Development Centre, Advanced Surgical Skills Centre (ASSC), United Nations University – International Institute for Global Health (UNU-IIGH), HCTM nursery, Ronald McDonald House Charity, Gamma Knife Centre and UKM Medical Molecular Biology Institute (UMBI). 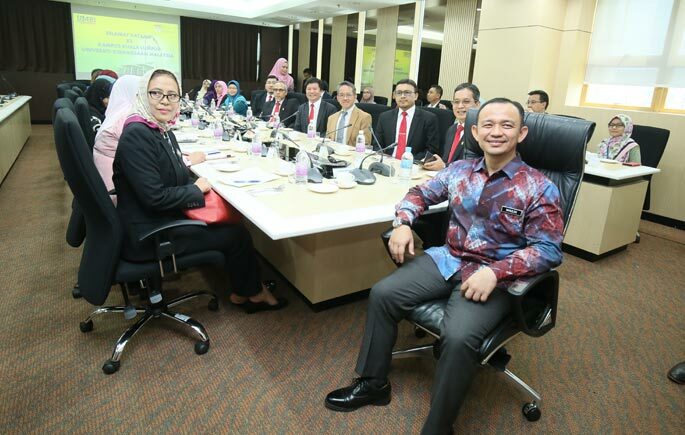 He was also informed on the current state of the UKM Specialist Hospital development that is expected to start their operations in 2019 as well as the UKM insight in establishing Health Technopolis in Cheras. Director-General of Higher Education, Datin Paduka Ir. 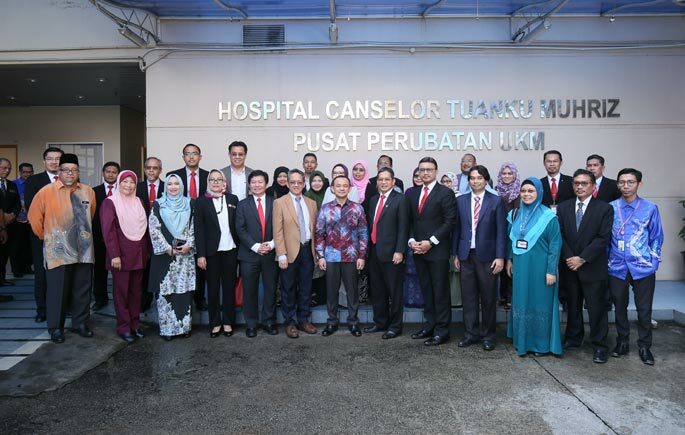 Dr. Siti Hamisah Tapsir, Deputy Vice-Chancellors and Pro Vice-Chancellor of UKM was also present during the visit.